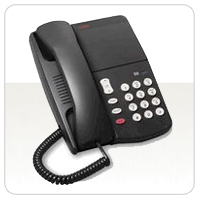 Comtalk carries these digital 6200 Definity Phones. These phones are for today's fast paced businesses. 6200 Series phones help increase productivity, with hard working features that enhance the ability to communicate. 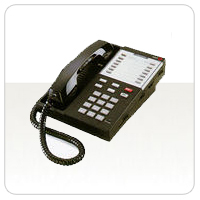 These telephones are designed in response to customer feedback, and are made to give you maximum ease of use. Programmable and expandable, these phones have all the features your office needs in a business phone. They also allow for one-touch operation with headsets so you can answer, hang up, and dial without having to pick up the handset. Additional features are a pull out instruction card and Hearing Aid Compatibility. 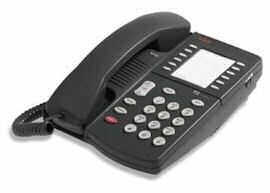 These Refurbished Definity 8100 series telephones phones are specially designed with your business in mind. They're perfect for those business locations where a full-featured telephone is not necessary or cost-effective, but where you still want more built-in features than an ordinary telephone can offer. If you need any further information, have questions or concerns please email sales@comtalkinc.com or call 1-800-955-6082. Visit ComtalkInc's Library of Pdf's for Administration, Installation, Overview and Comparison of Avaya Products.